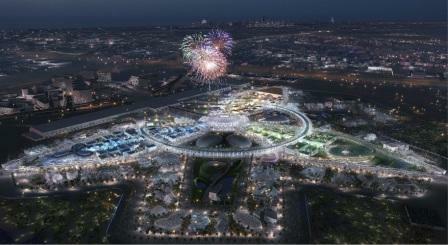 What will happen to Expo 2020 Dubai site after it ends? Exciting plans for the Expo 2020 Dubai site - after it closes its doors in April 2021 - will be revealed at CityScape Global 2017 at the Dubai World Trade Centre next week September 11-13. The integrated development of the Expo site post 2021 has been a central part of the planning process since Dubai first won its bid to host the 2020 World Expo four years ago. But until now, the name of the site, its plans, details and vision have not been publicly revealed. The 16th edition of Cityscape Global is the ideal opportunity to reveal the Expo vision. The event is one of the largest and most influential real estate exhibitions globally, attracting an international audience at a leading platform for iconic architecture, industry-changing developments and exciting investment opportunities. Visitors will be able explore the future in interactive pods at Expo's prominent exhibition stand and find out how they can be a part of the future of the Expo site from 2021. Marjan Faraidooni, senior vice president, Legacy Impact and Development at Expo 2020 Dubai, said: "The question that everybody has asked me when I've been speaking about Expo has been: 'So, what happens after Expo 2020's doors close in April 2021? She continued: "His Highness Sheikh Mohammed bin Rashid Al Maktoum, Vice-President and Prime Minister of the UAE and Ruler of Dubai, set us two main tasks after we won the right to stage the 2020 World Expo back in 2013: deliver an Expo that will amaze the world while leaving a meaningful and impactful legacy. "There are four strands to the legacy: reputational, social, physical and economic - and next week, you'll see how we've integrated all of these into the long-term future of the Expo site in Dubai South." Through its overall theme, 'Connecting Minds, Creating the Future', the first World Expo in the Middle East, Africa and South Asia (MEASA) region will be a platform to foster creativity, innovation and collaboration globally. It will be a celebration of ingenuity that gives people a glimpse into the future, guided by its three pillars: Opportunity, Mobility and Sustainability. Faraidooni added: "Expo 2020 Dubai is an Expo for our whole region and we see it as an opportunity for people near and far to benefit from the innovations and ingenuity that will be integral to its success. "We have learned a great deal from the highs and lows of previous World Expos, from the very beginning in London in 1851 to those of recent decades. It was very clear that what happens after an Expo is as important as what happens during the six months' duration itself. "So we would like to invite both businesses and the public to join us at Cityscape Global next week to see for themselves how the Expo 2020 Dubai journey will continue once the doors close in 2021 and how they can join us on our journey. "We are very excited about the future, and believe they will be too." Cityscape Global 2017 is open to the public at Dubai Trade Centre from Monday, September 11 to Wednesday, September 13.